Pancreatic cancer is one of the most lethal forms of cancer. Early detection is essential to improve prognoses. 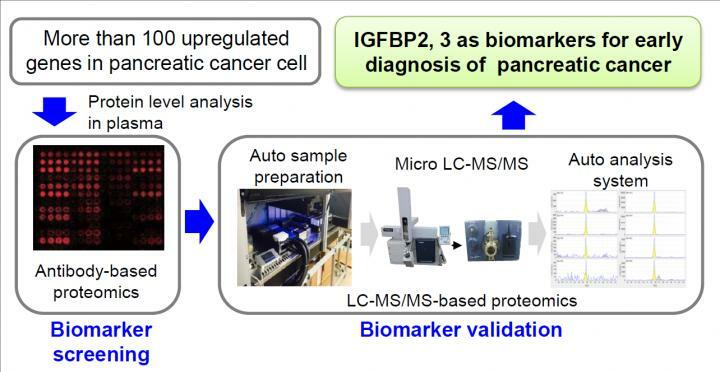 Working toward that goal, a collaboration of researchers in Japan has discovered proteins in the blood which improve the detection of pancreatic cancer. When used in combination with conventional pancreatic cancer biomarkers, it enables the diagnosis of early stage pancreatic cancer, which was previously thought to be difficult.